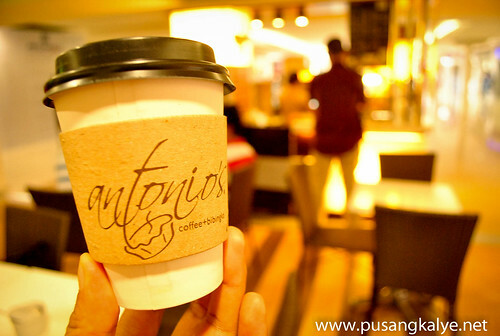 I know right.It bears my first name but I have nothing to do with the brand.How I wish it's mine but only in my dreams.hahaha.So for those who are asking,this business is not mine.I am referring to Antonio's Coffee and Bibingka in SM Megamall. Antonio's is a food kiosk located at the 5th floor bridge-way and is one of the participating stores in this year's MEGA FOOD SALE. 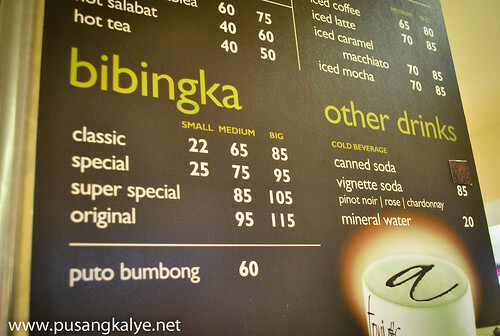 We came here after a hearty dessert at Akiba Cafe.I was already a bit full that time and I have to admit,I felt more full upon seeing the bibingka displayed at the counter.They are large and fluffy so I got the feeling that a small bite would prove to be heavy on the stomach. But I have a love affair with bibingka so I knew it's gonna be a treat nonetheless. 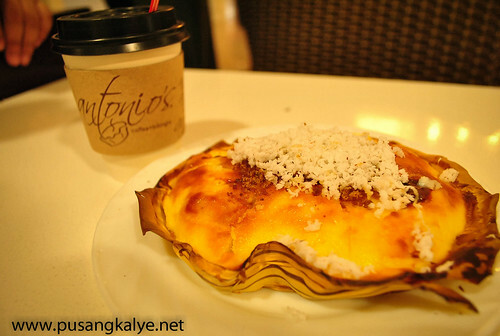 Along with my wife and other bloggers John and Cathy,we ordered the three available variants or Antonio's Bibingka, special,super special and original. 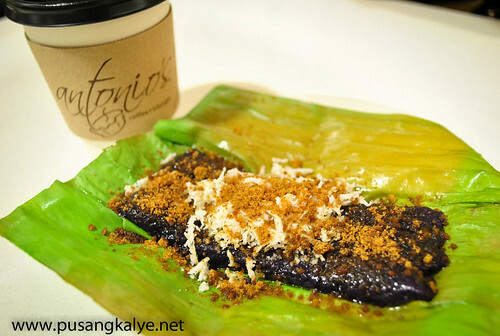 Original comes with kesong puti. 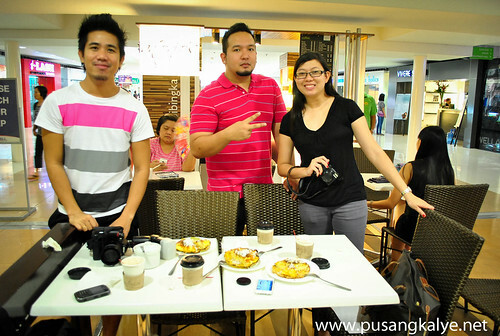 The three of us bloggers started sampling each bibingka variant and talked about the taste after every bite.Fluffy,creamy,just the right sweetness.Cathy and I both like the bibingka special while John and my wife loves the Original flavor.I guess we all have our favorite bibingka.Couple that with hot coffee tablea and you are good to go. 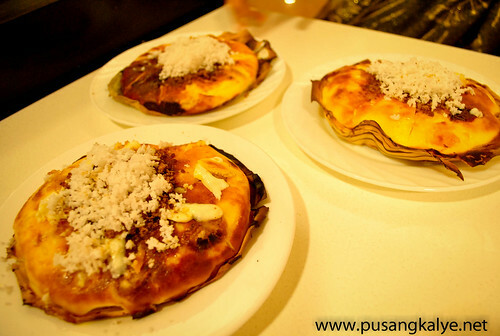 I was also telling my companions that they should also sell "puto bumbong" since they already sell bibingka.I felt very happy when I learned they have one.Puto Bumbong literally means steamed glutinous rice (puto) cooked in bamboo (bumbong). At least I don't have to wait for Christmas every time I want to eat one. All I need to do is drop by SM Megamall. This year's MEGA FOOD SALE is the third installment.Dates are August 17-19, 2012.You still have until today to catch it so go to SM Megamall and try Antonio's Coffee and Bibingka where you get Free 1 medium hot choco, salabat, or tea when you buy 1 big super special or original bibingka. 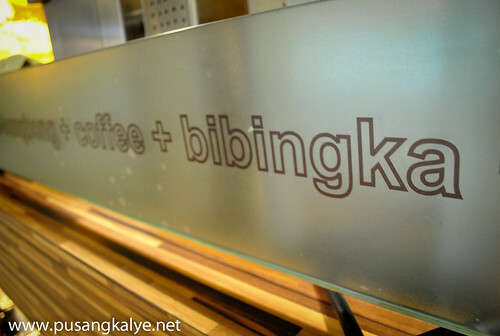 love affair with bibingka, eh? i'm just starting to follow your blog and I find it very entertaining and informative. keep 'em coming!